Officials have now indicted a South Jersey man on charges that he stole thousands of dollars from a youth football league. 49-year-old Michael DiFlorio of Williamstown, New Jersey, has been accused with embezzling more than $56,000. DiFlorio was the former treasurer of the South Jersey Elite Invitational Youth Football League. He apparently got a debit card that was linked to the league's bank account and has been using the card to pay for personal expenses. Officials say that if he is found guilty, he could face up to three to five years in jail as well as a hefty fine. Police are now investigating after a man was shot during a drive by shooting in West Philadelphia on Thursday. The incident happened on the intersection of 52nd Street and Haverford Avenue at around midnight. Police stated that the man was standing on the corner of the intersection when a driver came by and shot him in the hip. Police arrived on scene and were able to rush him off to the hospital where he is listed in stable condition. Police say a dark colored car was seen leaving the scene. Police are checking surveillance cameras for any information, and are also searching a suspect in the shooting. 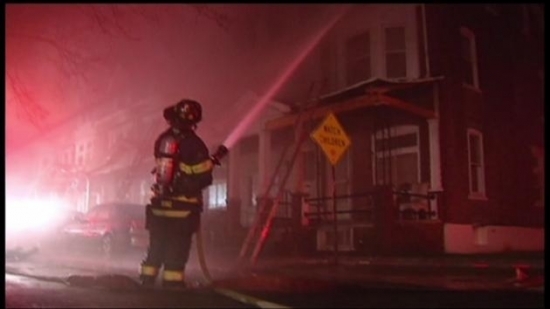 Officials are now stating the cause of the fire that happened in Allentown that damaged an entire city block. Police say that careless smoking is to blame for the start of the fire. Officials say that the fire started in an enclosed porch on the 400 block of North Fulton Street last week. Officials arrived on scene and struggled to put out the fire. Fire crews stated that the fire kept spreading to the roof tops because the wind kept fanning the flames over. Police say that twenty-three people were displaced due to the fire, but luckily no one was seriously injured. Tonight, Clear Skies and breezy with a low of 29 degrees in Center City.